Frustrated by the endless PED debate that has overtaken all Hall of Fame arguments, in 2013 ESPN.com created the Hall of 100, designed to recognize the 100 greatest players in MLB history. Period. 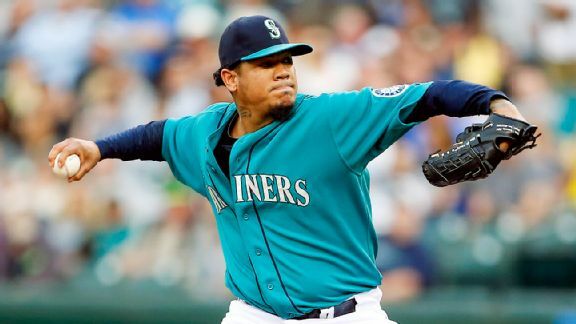 There are no new members in the 2015 class, except for one addition among the honorable mentions: Felix Hernandez. Otherwise, Alex Rodriguez, Albert Pujols and Miguel Cabrera saw their rankings drop, while Derek Jeter moved up slightly in his final year of eligibility.